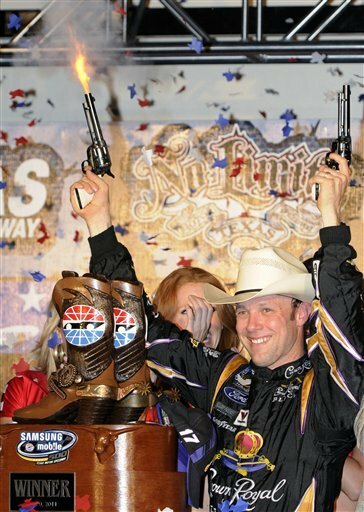 Matt Kenseth ended his 76 race winless streak Saturday night in Fort Worth as he captured the Samsung Mobile 500 at Texas Motor Speedway. This is Kenseth's second win at Texas and the 19th of his career. He led the most laps with 169. Clint Bowyer was the race runner-up. Kenseth also had two Roush Fenway Racing teammates finish in the top five with him in Carl Edwards (3rd) and Greg Biffle (4th). Paul Menard rounded out the top five. Continue reading for more postrace coverage of the 7th race, and the first Saturday night race, of the 2011 Sprint Cup Series season. Who Will Draft Blaine Gabbert? Who Will Draft Patrick Peterson? How Much Trouble Are The Boston Red Sox In?